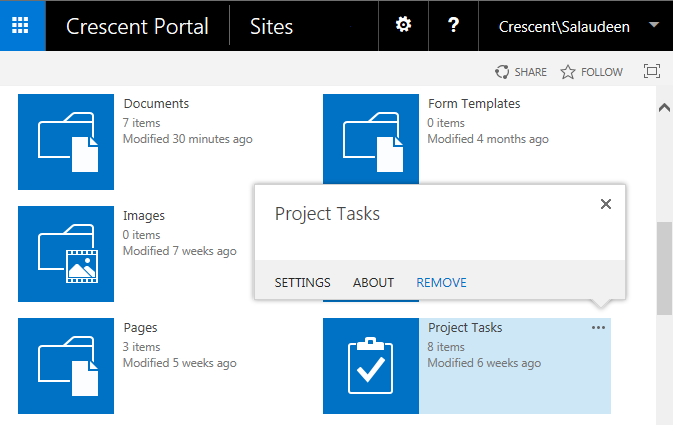 Home List PowerShell SharePoint SharePoint 2010 SharePoint 2013 SharePoint 2016 How to Delete a SharePoint List using PowerShell? Problem: A faulty solution installed on the SharePoint farm created duplicate lists in all sites in a large site collection with 100+ sites in it. We had to remove them all! To delete a list from SharePoint, from the browser, we can go to: View All Site Content >> Click on "Remove" link from the context menu of the list. Alternatively, You can get into List Settings >> click on "Delete this list" to remove a list in SharePoint. However, There are 100+ sites where a particular list needs to be deleted. write-host "List has been deleted successfully!" Just replace the Web URL and GUID with yours and run the script. Lets make a custom function to delete SharePoint list using PowerShell script. Write-Host "List: $($ListName) deleted successfully from: $($WebURL)"
Write-Host "List: $($ListName) doesn't exist at $($WebURL)"